A mystery! I love mysteries! I’m the detective: exposing clues, revealing secrets, solving the puzzle. I’ll be the hero who finds the solution to all the problems, bringing the final triumph! But… I don’t have all the answers. Tough to admit, but many of my so-called answers are nothing more than speculation. Why are we here? Now, there’s a mystery that will never be explained by the effort of human reasoning. The answer must be experienced rather than comprehended. It can only be experienced in a unique, personal, experiential relationship with the Person of Jesus Christ. As we accept His Lordship over our lives, our cries of confusion and anguish are muted as the pieces of God’s grand puzzle fall into place – as He creates from our pile of rubble something beautiful and something good. The thrill of this adventure far surpasses all others. We are adopted as sons and daughters of the Most High God, sinner becomes saint, and we are justified in Him by faith alone. Okay, but how about my family? What is the purpose for my family? Well, families are God’s idea. Marriage is God’s idea. God created Adam, made his rib into Eve, performed the first wedding ceremony, and told them to go multiply and fill the earth. So, when a man leaves all others to cleave to his wife, a unique bond is created that perpetuates God’s love and purpose and carries it forward to future generations. That’s an integral part of the secret that solves the mystery to our purpose in life. The Church is God’s family: a family of families. God’s purpose is for His family to reflect His glory, responding to His love by taking His message to the uttermost parts of the world. The family is the means by which God communicates, preserves, and further expands His influence. Without strong families, the church and society will be weakened. Society, intellectuals, and professionals cannot and should not define who we are and who we should be. God has a plan, and He has already decided who we are. As we seek Him that plan is revealed to us. Each family that makes up the family of God is a living object lesson to the world. The husband symbolizes Christ and the wife symbolizes the Church, Christ’s bride. The one flesh between a man and a woman in marriage reflects the oneness between God and His people. We are to give ourselves and our families to the One who gave Himself to and for us and to and for them. 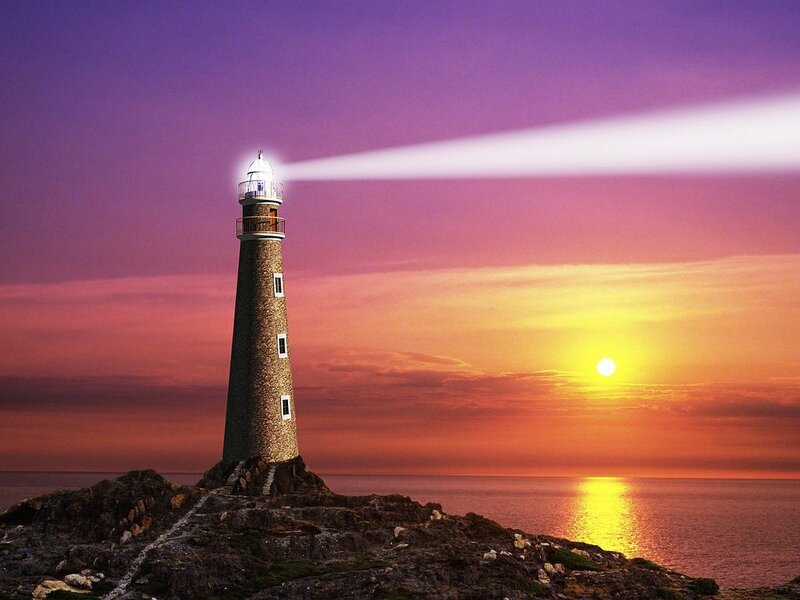 The family also serves as a lighthouse, flashing out a warning of danger to the world, and acting as a deterrent to the negative effects of sin and evil upon society and the individual. It’s part of the city set on a hill that can’t be hidden that Jesus spoke of in Matthew 5:14. God want us to relate to His family and to our family in a way that will accomplish His goals for both and reflect His glory. What if my children aren’t serving God or reflecting His glory? Don’t despair. God honors prayer, and he honors our faithful witness (however imperfect), and our steadfast love. Only He can sanctify and cleanse each one, presenting them without spot, wrinkle, or blemish to Himself. Only the Holy Spirit can prepare hearts to receive His love and purpose. God says He seeks godly offspring (Malachi 2:15). That means that we are to teach our children His ways and be role models to them of faith and loyalty to Him. This requires work. We must repent of our failures and apologize to the victims of our faithlessness – even if the victims are our children. In today’s post-Christian culture, genuine apology is an outdated concept. Nevertheless, it is a vital part of family life, and it is indispensable in building strong, close, emotionally intimate relationships. Rather than a sign of weakness, an apology demonstrates emotional maturity and invites mutual forgiveness. It models a spirit of humility and repentance, and of love which covers a multitude of sins. Become a prayer warrior for your family, developing techniques to love them in spite of bad decisions and to help influence them toward godly choices. Offer counsel with a loyal heart, an open mind, and an open Bible. Make a commitment to be a friend for life. Sound like a tall order? It surely is. But with God, all things are possible. To accomplish all that, we need a close walk with God and lot of forgiveness for ourselves and others. We need to stay connected to our posterity and to the church, physically, relationally, and spiritually through the good, the bad, and the ugly of life. God’s love and purpose for our families and His emanates from Him and He is glorified through them. We must never give up on our posterity or quit on the church. As we finish our journey strong, the next generation will see that faith in Jesus Christ is real and effective for the whole race of life.